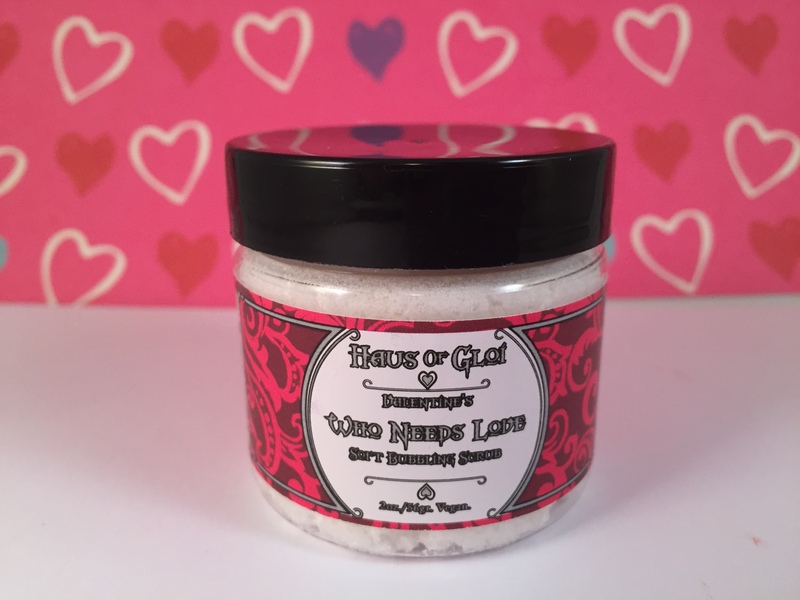 Hopefully, my little review of Haus of Gloi’s Valentine’s Day collection can help you out if you’re interested in purchasing. The technical stuff: Haus of Gloi is a soap, bath, and perfume company. I’ve reviewed several their Fall and Yule collections if you are interested in learning more. 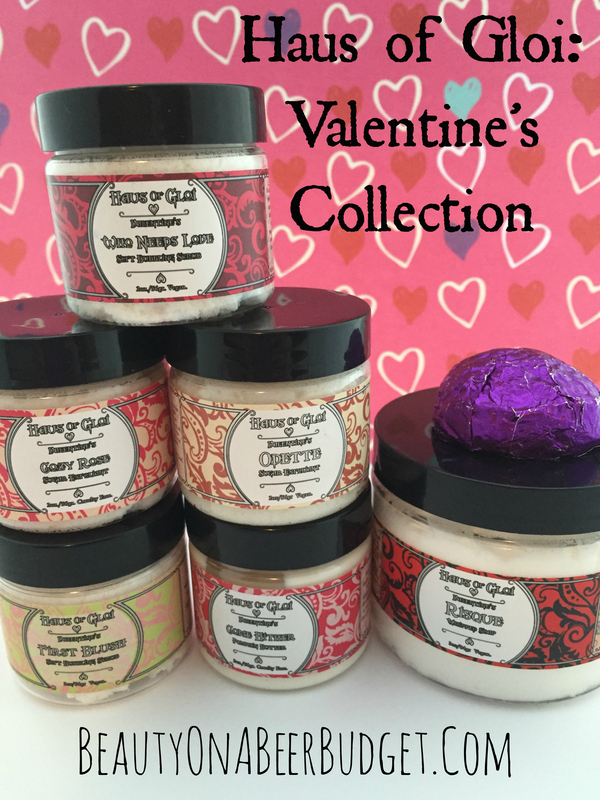 For the Valentine’s Collection, I chose to order only bath products. Haus of Gloi’s perfume oils have bit hit or miss for me. While I love their smells, their longevity on me can be almost non-existent. For example, I adore their foodie scents and tobacco scents, but their florals and fruits wear off on me within a 1-2 hours. For my Valentine’s Day order, I quickly jumped on the release on 1/25. I spent $31 with a $9 shipping fee, making my order about $40. It was shipped on 1/29, and I recieved it 2/2, which I thought was excellent turn around time. The good stuff: Although I ordered only bath products, I think I’ll be able to give you a good idea of the scent notes if you were eyeballing anything from this collection. So rub-a-dub-dub! 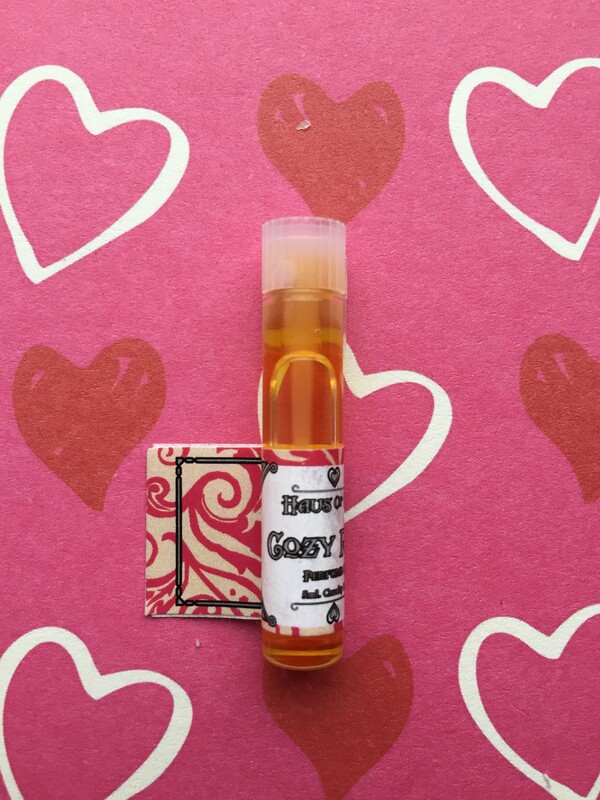 Come Hither Pumpkin Butter (mini, $5)-Based off of traditional herbs and roots used in Hoodoo to draw and attract a lover, or entice the one you’ve already ensnared! Bourbon vanilla, tonka bean, a touch of rose oil, Queen Elizabeth root, three threads of saffron and a touch of honey to sweeten the whole deal. 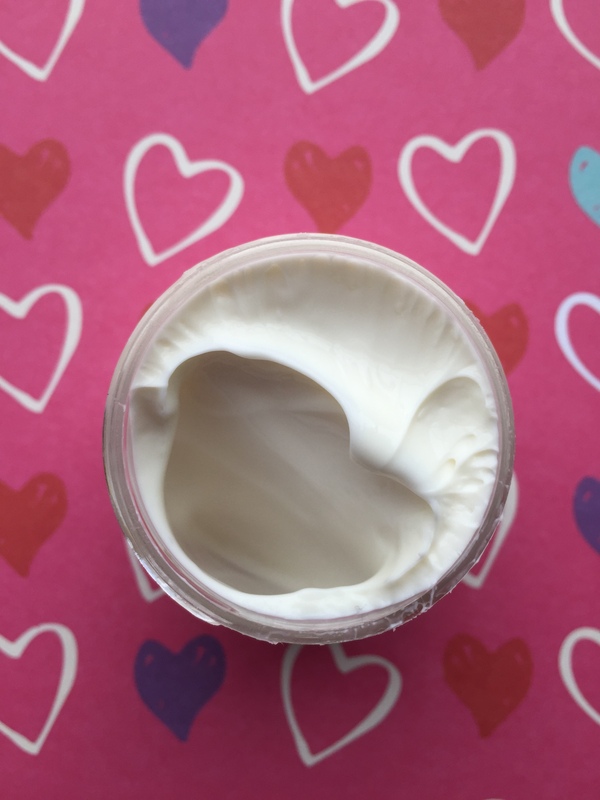 When I first put this on it smells like buttercream frosting, sweet and creamy. Then as it dries it becomes very floral and a bit herbal. Very interesting scent. 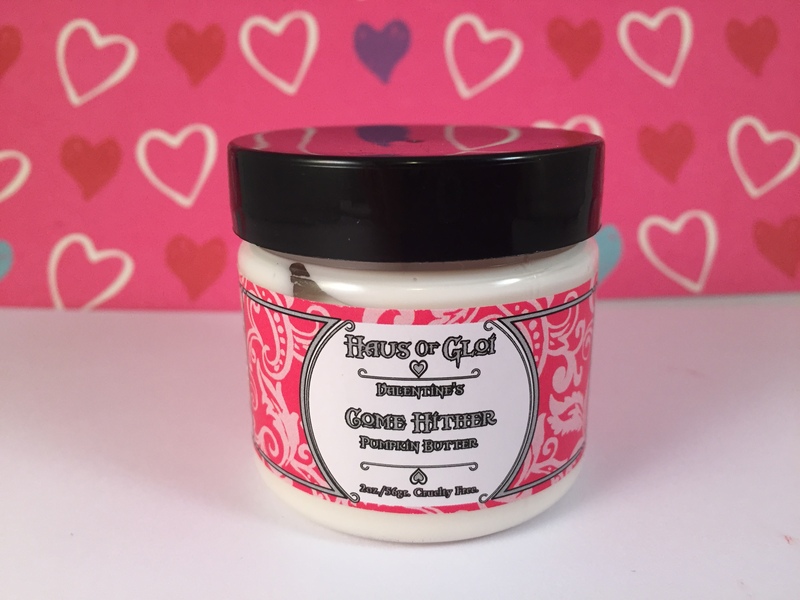 Haus of Gloi’s Pumpkin Butters are my favorite lotion out there. They taught me not to hate lotion, but to embrace it. They’re lightweight, moisturizing, and they dry fairly quickly. 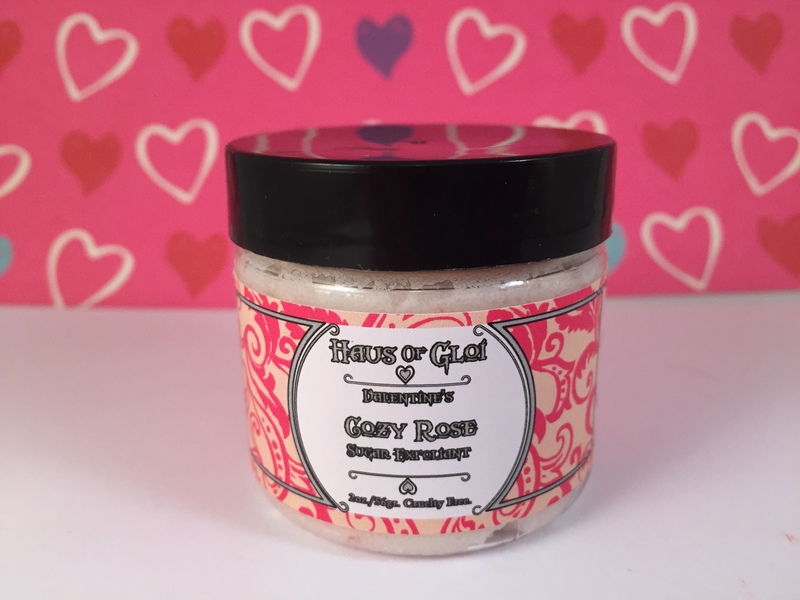 People love Haus of Gloi’s Cozy Sweater scent, so it makes sense that adding rose to it would be a great combination. I am not a fan of Cozy Sweater, (it’s just boring to me), but this does smell like lovely floral, clean laundry. If you like that. I love Haus of Gloi’s sugar exfoliant. It’s not too harsh, but not too soft, either. I like to use it with a loofah to get a light exfoliation, and then my whole shower smells great. The Cozy Rose one is also very pretty with pink swirled into it. 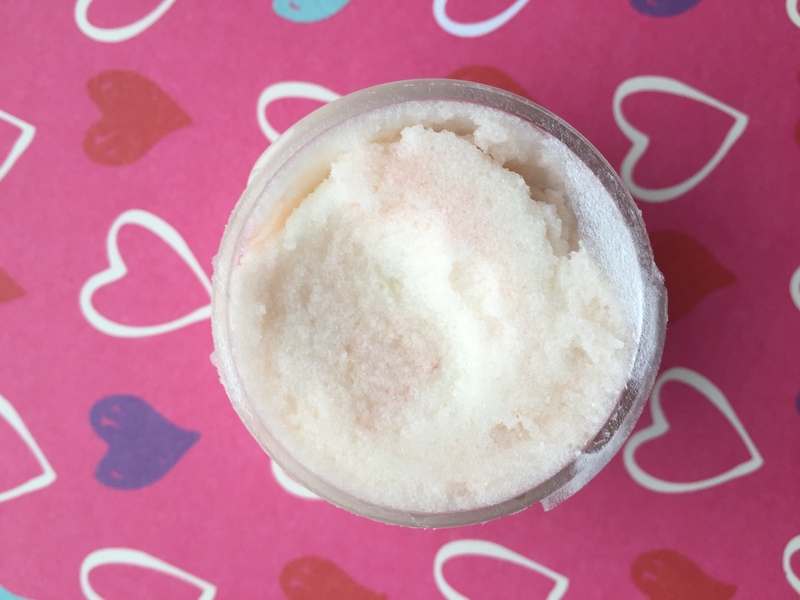 First Blush Soft Bubbling Scrub (mini, $2)-Tahitian vanilla bean, white tea, lavender and peach. This is a nice fruity, vanilla scent- very girly to me. I’m not the biggest fan of peach but it’s not overpowering here. 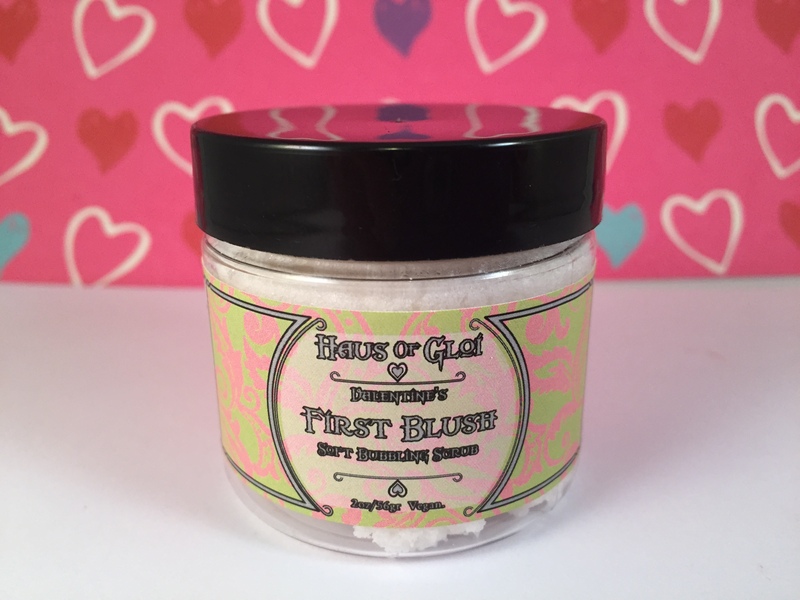 I also adore Haus of Gloi’s soft bubbling scrubs. 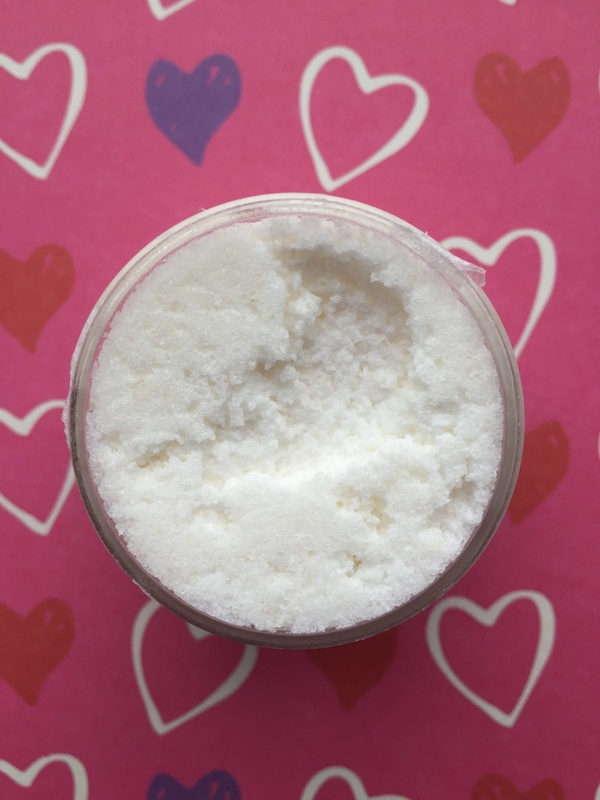 When you lather the scrub, (on a loofah or in your hands), it does bubble up and makes a nice, soft scrub. It’s very gentle and smells amazing. 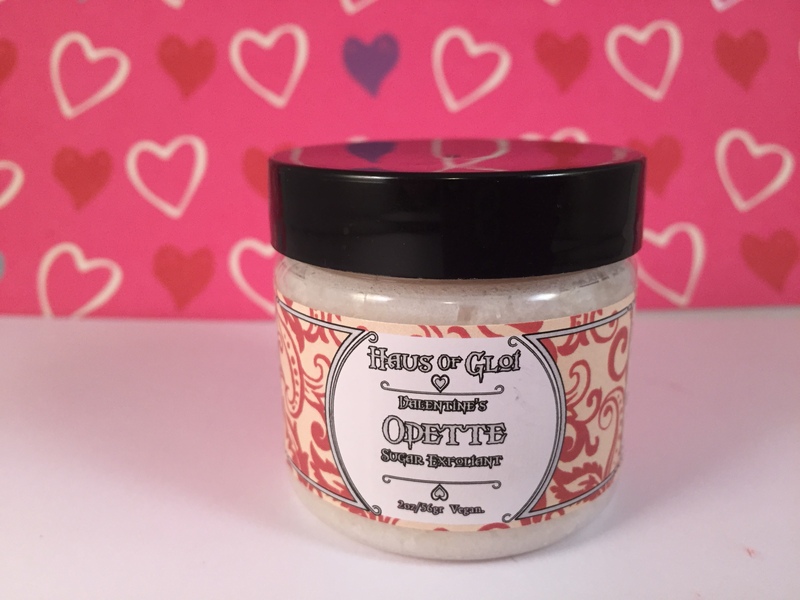 Odette Sugar Exfoliant (mini, $3)- Clean sun dried linens, tuberose, ginger lily and white musk. This also smells like wonderful clean, laundry. This is less floral that Cozy Rose to me, and more of a clean, fresh, scent. This will work really well as a bath product. 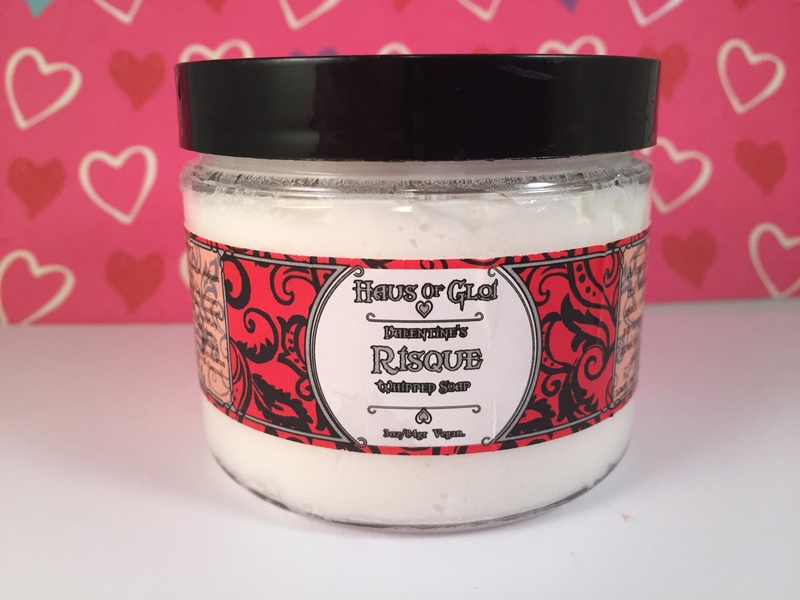 Risque Whipped Soap ($7)-A leather whip, red musk, cast aside roses and an intoxicating touch of agarwood attar. My first thought on this was it just smells like regular soap. As I lathered it up however, a very soft hint of leather, musk, and florals came out. I am interested in this as a perfume actually, because I really like Haus of Gloi’s leather note. 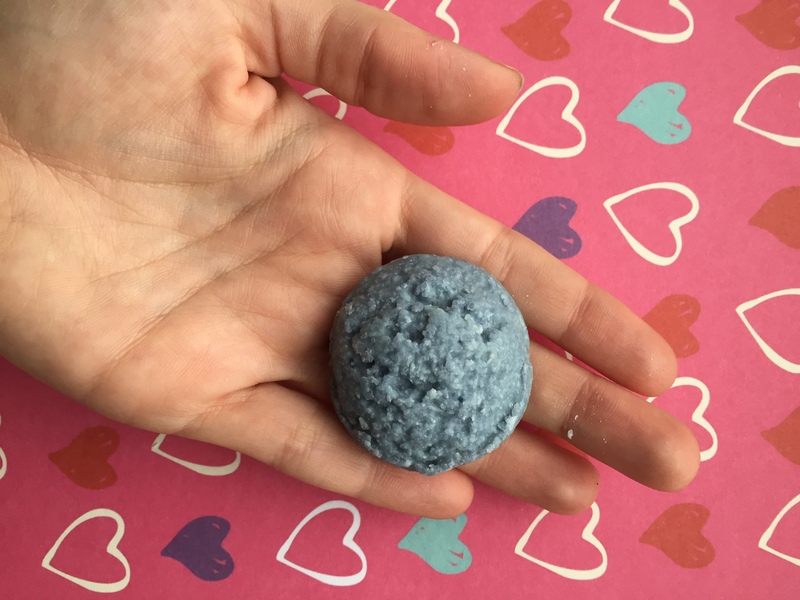 Who Needs Love Soft Bubbling Scrub (mini, $2)-A mahogany box filled with chocolaty orbs, coated in crystallized coffee – filled with a pomegranate and raspberry filling. Who needs love when you have something this decadent? This smells delicious. It’s smells like strong coffee with berries and chocolate. It kinda reminds me of a fruity version of their Vice scent, but I really like it. If you hate coffee, steer clear of this guy, though. 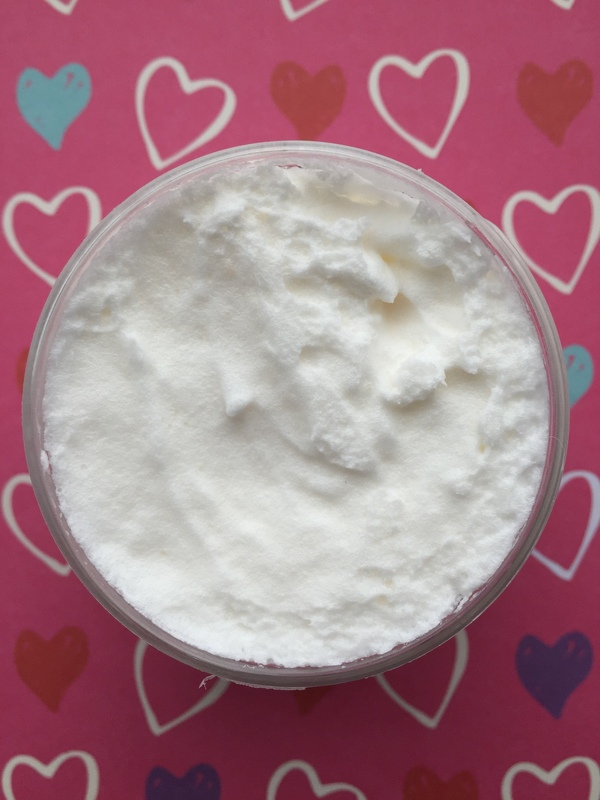 Lavender Forest Butterbomb ($2.50)-A blend of Bulgarian lavender, scots pine, amyris and frankincense. I already have a pretty decent bath set up with other products that I love, but I finally caved and tried one of Haus of Gloi’s butterbombs. This is indeed a butterbomb. I crumbled it into my bath and it smelled like amazing lavender and made my bath extremely moisturizing. That’s all it did, but it was a pleasant experience. This was my freebie sample that I got with my order. I’m kinda happy I got Cozy Rose, because I do love rose scents (I’m a senior citizen at heart, ok) and I was slightly curious how this would turn out. Again, even as a perfume oil, this just smells like nice, clean laundry with rose laundry detergent. It’s very fresh and pleasant, but it’s not really my ideal scent. Overall: This collection was a mixed bag to me. I think Come Hiter and Who Needs Love were fairly interesting scents, and First Blush is pleasant. However, Odette and Cozy Rose both smell like clean laundry to me. Risque is really subtle as a whipped soap and I kinda wish I had gotten it as a perfume oil. If you’re looking for fresh florals and clean scents, I think you’ll enjoy this collection. Although, please be aware for the restock-the scrubs will not be available. Just perfumes, pumpkin butters, hair oils, and possibly whipped soaps. Oh, and the artwork was super cute. -Did you order anything from the Haus of Gloi Valentine’s Collection? 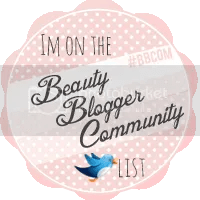 -What are your thoughts on these products? -Should I be getting dressed for work? Yes, I should. I ordered perfume oil samples of everything but Risqué (not a fan of leather on me), and whipped soap and PB in WNL. The scent lingers a long time for me with the soap and PB! They sent a perfume oil sample of risqué as a freebie, and I’m glad they did! I didn’t think I’d like it, but I really really love the rose in it. I picked up a pink champagne butterbomb and lip balms in pink champagne and cherry vanilla, but they’re still on their way to me. It’s my first HoG order, and I’m super excited to try them out. 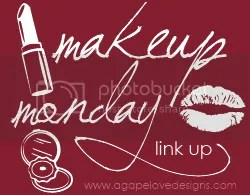 And the answer to “should I be getting ready for work now” is pretty much always going to be yes anytime you ask it. Ohhh, I bet the pink champagne will smell amazing. I haven’t tried their lip balms yet, but I gifted some to friends for Christmas and they were a big hit. And in retrospect, I probably should have been getting dressed for work 20 minutes prior to writing that question. Live and learn, I guess!